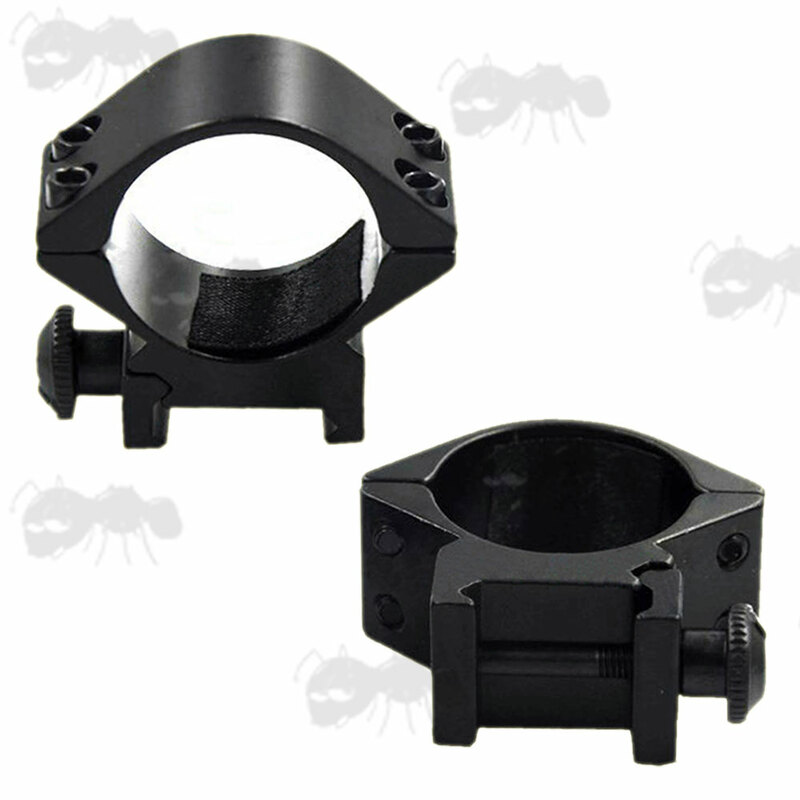 Overall height 41mm, width 40mm, thickness 21mm. 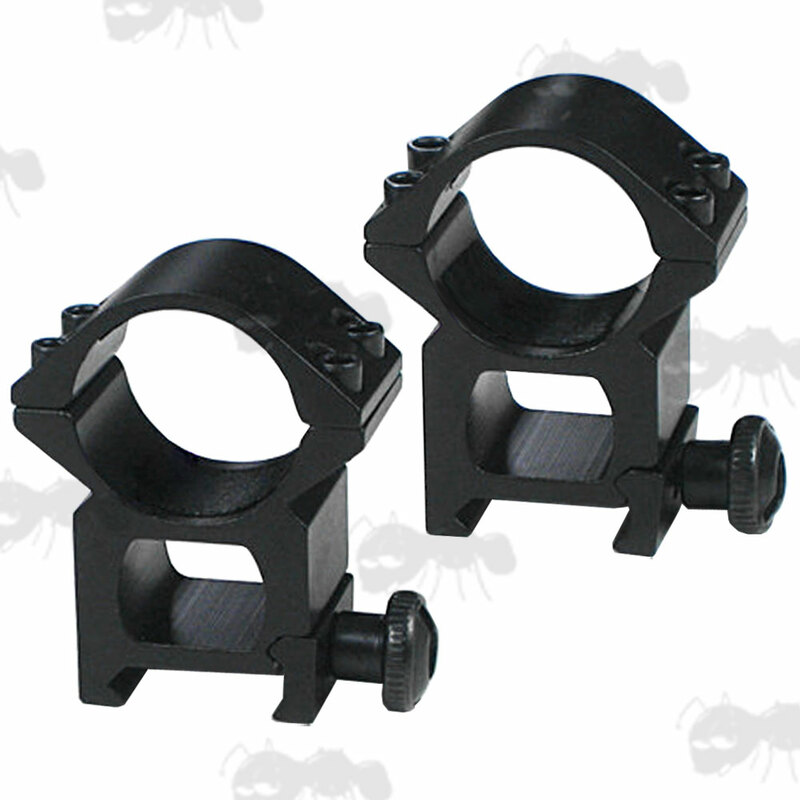 Overall height 44mm, width 47mm, thickness 20mm. 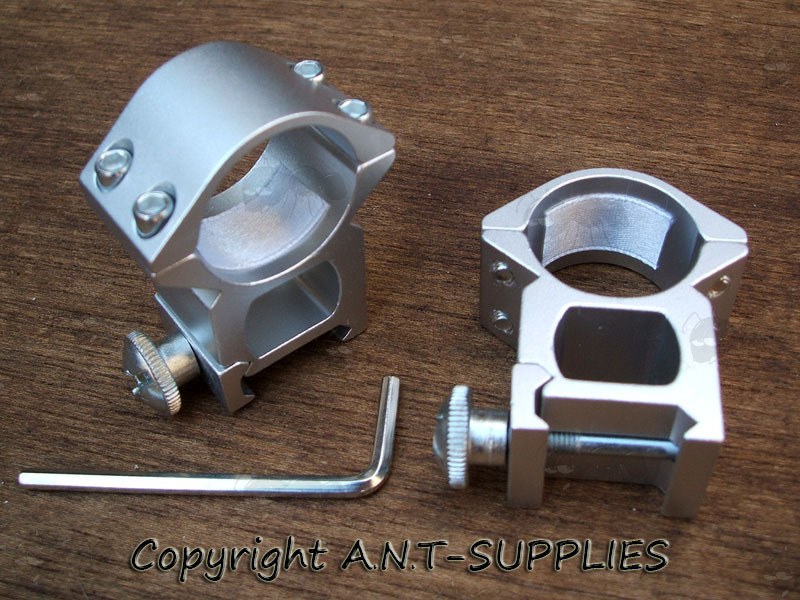 Overall height 50mm, width 40mm, thickness 21mm. 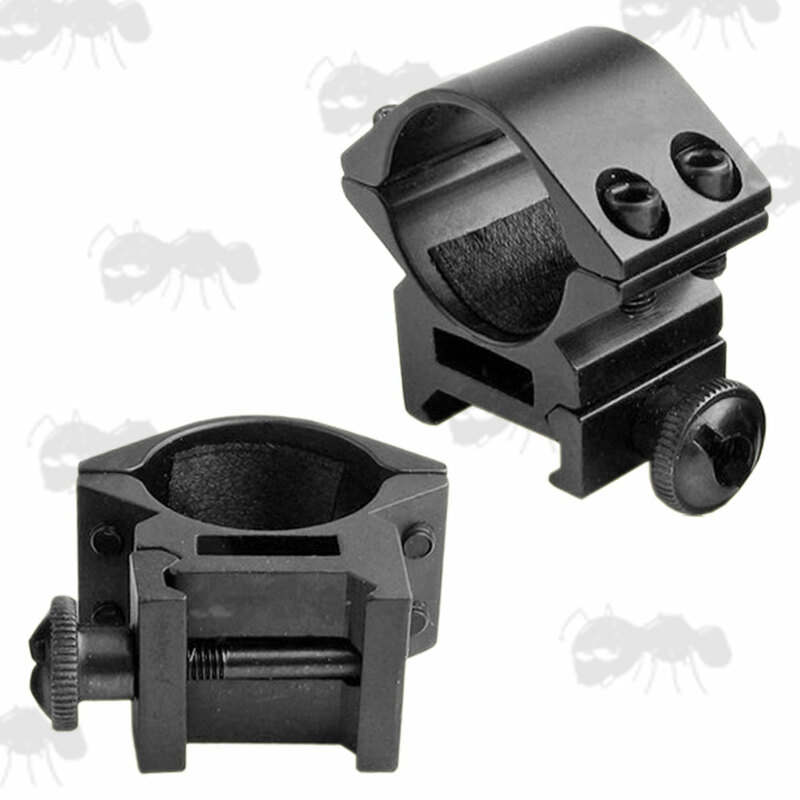 Overall height 52mm, width 46mm, thickness 21mm. 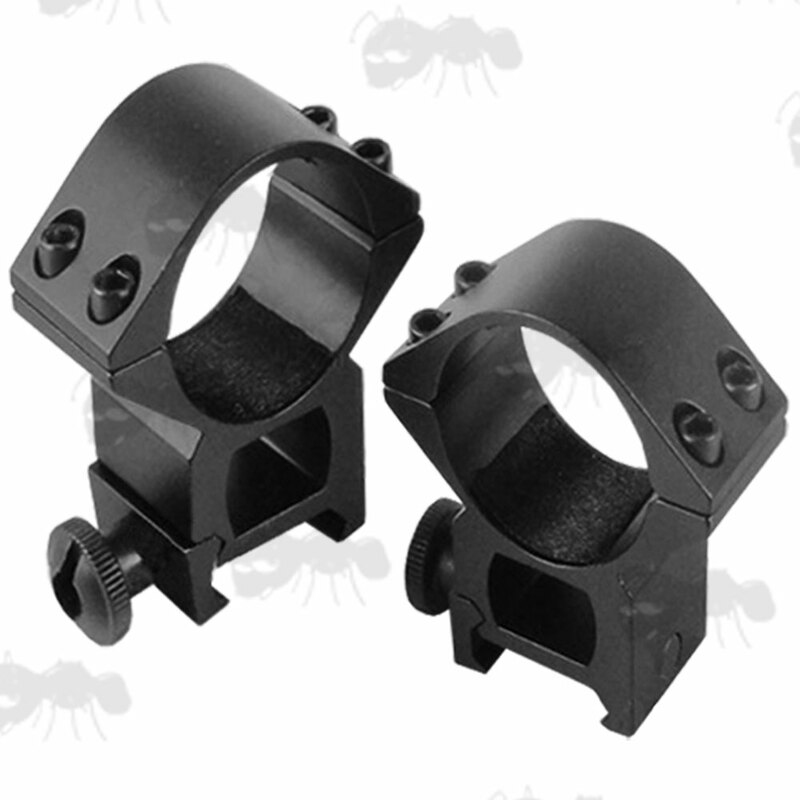 Also available in the same style as one piece scope mount.